February 2nd: What's On Today's Show : Blog Of The Nation In the first hour of Talk of the Nation, exploring the manufacturing industry, and a look ahead to Super Bowl XLVI. In the second hour, celebrating the works of poet Langston Hughes, and actor Anthony Mackie talks about his latest film, Man on a Ledge. Numbers released this week show that manufacturing in the United States increased in January 2012. Economic activity in the manufacturing sector rose one percentage point over December's number, which reflects, in part, increased production and ordering from U.S. manufacturers. In this month's Atlantic magazine cover story, NPR's Adam Davidson explores the manufacturing industry through the eyes of factory workers. He finds that not only is more and more factory work being done by machines, but that the industry is relying more on educated, skilled workers and less on hands-on, "unskilled" labor, which used to make up a sizeable portion of the manufacturing workforce. Host Neal Conan speaks with Davidson and Tim Aeppel of the Wall Street Journal about the current state of manufacturing in America, how the industry is changing and what that means for the U.S. economy. This Sunday the New York Giants will face the New England Patriots in Super Bowl XLVI. This is not the first time these two teams have faced off in the biggest sporting event in the country. 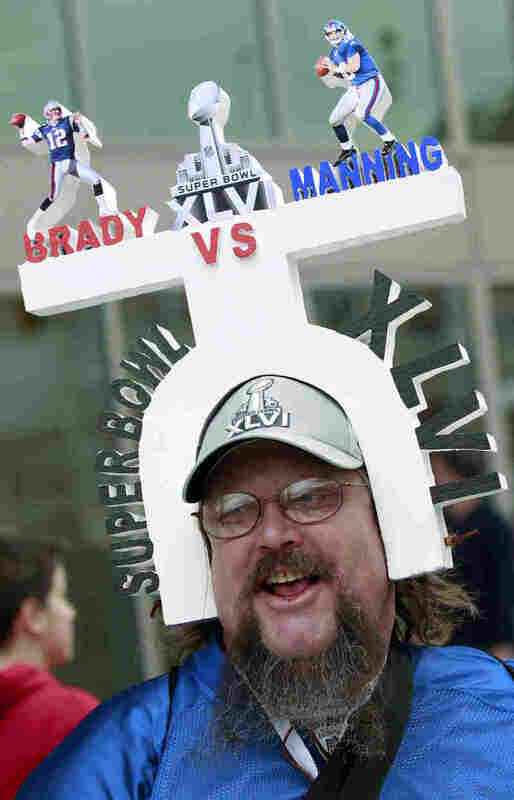 In 2008, the underdog New York Giants beat the New England Patriots 17-14. Host Neal Conan talks with NPR Correspondent Mike Pesca about what to expect this Sunday. The poet Langston Hughes would have celebrated his 110th birthday this month. Born in Missouri, Hughes traveled to Mexico, France and Africa. His poems speak of the life and struggles of African Americans, and celebrate the richness of the culture. He also wrote plays and music. Host Neal Conan discusses the relevance of Hughes' works with Nikky Finney, winner of the 2011 National Book Award for Poetry, as well as Arnold Rampersad, author of The Life of Langston Hughes, and Emery Wimbish, Jr., former dean of the Langston Hughes Library at Lincoln University in Pennsylvania, Hughes' alma mater. Rising star Anthony Mackie is no stranger to off-Broadway plays, independent movies, and feature films. The Julliard grad is best known for playing an uptight sergeant in the Academy Award-winning movie The Hurt Locker, yet was discovered while portraying Tupac Shakur in a stage production of Up Against the Wind. He's also taken on the role of a disillusioned former Black Panther in Night Catches Us, and a a mysterious agent in The Adjustment Bureau. And in Man on a Ledge, Mackie plays a cop caught up in a diamond heist. Neal Conan talks to Mackie about his latest film and his acting career.